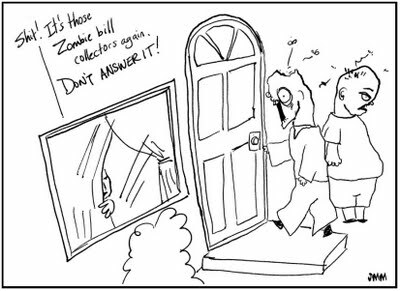 Zombie Logic From Thomas L. Vaultonburg, Outsider Poet: Zombie Bill Collectors Ltd.
April 2015: The dead shall pay their debts. One way or another. Labels: webcomics, Zombie Bill Collectors Ltd. I think the guy on the left was in my store today! was he there to collect? 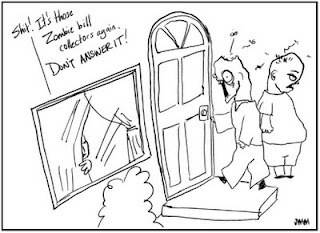 Man, and i didn't think it could get any worse than bill collectors. . .